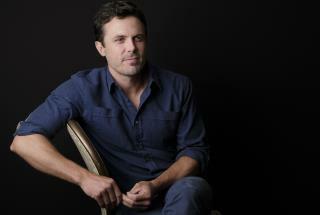 (Newser) – Casey Affleck has been mostly absent from the public eye for the past year, but in the wake of the #MeToo and Time's Up movements—and with a new film coming out this fall—he is for the first time addressing lingering questions about earlier sexual harassment allegations. The 42-year-old actor, producer, and director is taking responsibility for the "unprofessional" atmosphere on the set of 2010's I'm Still Here that led to civil lawsuits from two women who worked on the film, the AP reports. "It was an unprofessional environment ... the buck had to stop with me being one of the producers and I have to accept responsibility for that," says Affleck. Let bygones be bygones, I always say. Clickbait. Purposely omitted first name to confuse readers into thinking it was about Ben. #metoo is becoming a joke.